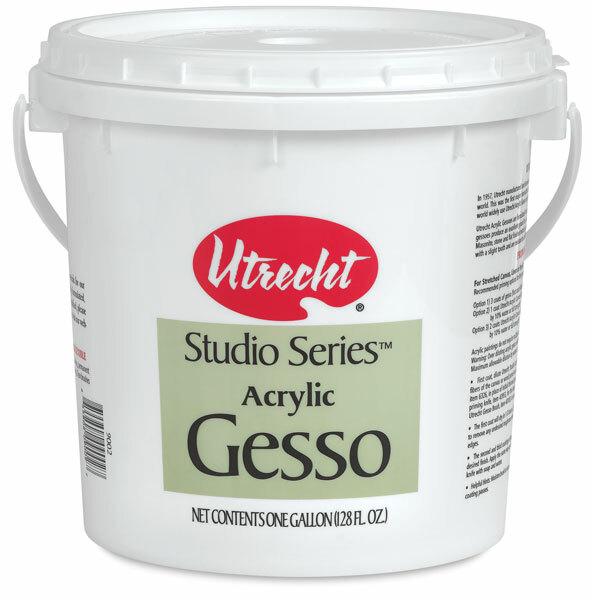 Utrecht Studio Series Gesso is an economical acrylic ground that's great for high-volume use. 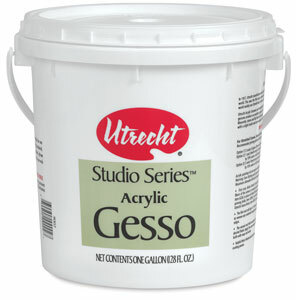 It's a light-bodied gesso that provides a slightly toothed surface, which can be sanded to a smooth finish if desired. Use it as a preparatory ground for oils, acrylics, alkyds, and water mixable oils on a variety of substrates including canvas, paper, board, wood, plaster, and stone. Apply three coats to achieve maximum opaque coverage and archival stability. ® Utrecht is a registered trademark.™ Studio Series is a trademark.